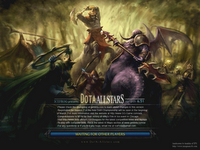 Number of current Beta version of DotA Allstars 6.55 changes very fast. Beta 30 already came out. Immortal you go back to life no longer shield base. You will return to where you were dead. Wang’s corpse into a general model ~! 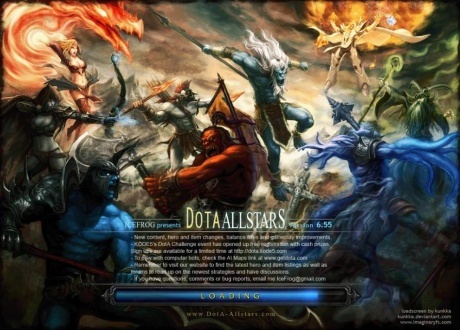 Next one beta version of DotA Allstars 6.55 came out. Beta 20 makes next map release much sooner. Click the link to see hero details and screenshots. Dagger is now not disabled by towers, neutral creeps, roshan, or his spells… looks like its only disabled if the source of the dmg is from an enemy hero. Phase Boots – Boots of Speed + Chain mail + Blades of Attack (No recipe cost). Coco’s Rum is now ulti, 60 cooldown, it gives 3/4/5 seconds of 100% 2x criticals and you don’t get any penalty (no more missed attacks) the next seconds.